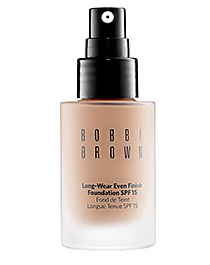 I took the plunge after several months of pondering over Bobbi Brown's liquid foundation. I've been using it for several weeks now and am happy to share that I am absolute love. I had previously been using Make Up For Ever HD liquid foundation. I wasn't necessarily unhappy with it, I just wanted to branch out and see if there was something else. Bobbi Brown Long-Wear Even Finish | I love the feel of both of these products, but for summer I will benefit more from Bobbi Brown with its added SPF. I guessed pretty well with the color options, which are almost infinite, and chose warm beige. The color is perfect for this time of year, but even if it wasn't I'm positive I could have found one that was. I'm also happy that this product delivers exactly what I was looking for; medium to full coverage hydration with a light feel to it. I often forget that I'm wearing it! It also held up well in the heat we've been getting around here lately. If you're looking for an amazing liquid foundation with a little SPF (15 to be exact) this one is definitely worth a try. Bobbi Brown CC creme | Sadly I didn't fall in love with this one. 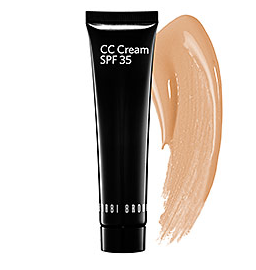 It's the fourth CC/BB cream I've tried, and I'm beginning to think that they just aren't for me. This one is available in only 3 colors, and I didn't feel as though any were perfect for my skin. I liked that it had SPF, but I felt that it made me a little more yellow than I prefer. It was certainly hydrating, but it never made me feel like my skin was oily either. I'm not sure if the hunt will continue or if I'll concede to defeat in this department. Overall, I was very happy with Bobbi Brown. I will most certainly be trying more of their products in the future. Any ideas on which ones to buy next? I love, love, love Bobbi Brown. I use their compact foundation and it's by far the best foundation I've tried. I also use their under eye concealer/powder kit (I have very dark circles), which is a great product if it's something you need. Their blush isn't anything spectacular, but I do like it - it's very pigminted. I'm glad you reviewed the CC cream. I was considering buying that instead of my regular foundation, because of summer coming up (don't want to wear as much product as normal), but I don't think I will. They're really hit or miss, I feel like. I have never used Bobbi Brown, but I have always heard such great things. Have you tried the Naked BB Cream? I know I write about it all the time, but it is my favorite! I do normally add some powder over it, so it adds to the coverage. Thanks so much for the review - im in the market for a new cc cream so i'll stay away from that one! !